Showing results for tags 'Twin Otter'. Hoping to finally show winter the door with something a bit breezy and tropical: the Revell (ex-Matchbox) DHC-6-300 Twin Otter, in the sunny livery of InterCaribbean (formerly Turks & Caicos) Airlines. As one of Matchbox's better late issues, the kit holds up reasonably well in its current Revell/Germany release. Old options still included are skis and floats as landing gear alternatives, and choice of the blunt short nose (used on military aircraft) or the longer tapered 'shovel' nose I used on my civil build. Build was pretty much out-of-box, with a few minor add-ons. The kit's completely blank cabin got some basic 'seat shapes' to have something visible through all those windows. I slipped several fishing sinkers into the nose, to keep her solidly on all three wheels. The simplified landing gear itself got a semblance of brakes for the main wheels, and scissors for the nose strut to replace the solid triangular chunk on the molding. Remaining additions were mainly assorted exterior bits and bobs such as windscreen wipers, aerials, and slightly more petite pitot heads to replace the large kit parts. 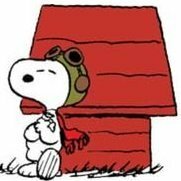 Last necessary fix---for a grounded bird---was to remember to feather the props, since they do so automatically once hydraulic pressure bleeds off. Decals were home-made, based on the lovely photo of the same aircraft on the Airline's own website. Paints were mainly Tamiya acrylics, with special Testors fluorescent acrylics for some of the bright tail colors. There are a few things I'll do differently next time...one structural, one cosmetic. As to structure, the kit's main gear axles are especially spindly, and might best be replaced with heavy-gauge wire or even paper-clip sections. The cosmetic fix will be more challenging: the kit's windscreen isn't quite wide enough, and the 'A pillars' (to use an automotive term) consequently too wide; this does much to lend a 'blocky' look to what is supposed to be the Twin Otter's fairly sleek cockpit area. (There are some other problems with this area on the kit, but that's for those far more expert than I.) All in all, a nice winter-beating project. I hope you enjoy the pics. I decided to combine a current 'civil aircraft' streak with taking a kick back at bleak winter, by doing Revell's (ex-Matchbox) lovely little 1/72 DHC6 Twin Otter, with bright tropical markings suggestive of sunshine, balmy breezes, steel drums...and perhaps a few rum-laced libations. I have never built the kit before, but multiple online reviews uniformly laud it as one of Matchbox's very best late efforts, with much more subtle surface detail than their generally-well-earned reputation for 'trench'-style panel lines would suggest. I have what I believe is the most current boxing from Revell Germany, with markings for the Swiss Topographic Office: The kit still comes with its original options of long or short nose, and floats and skis for the landing gear. All of those will go into the spares box except the long nose. I began by sanding off the molded-in raised panels---what I presume are wind deflectors of some sort---adjacent to the forward cabin window on each side, since the photo I'm working from shows these locations as flush panels. The kit has a reasonably well-appointed cockpit...but nothing at all for the cabin between the cockpit and aft fuselage bulkhead. The clear cabin windows are fairly thick and non-optical...but there are a lot of them...so I opted to rough out a very basic interior, consisting of a simple floor and seats made up mainly from scrap left over from my last project. The seats will be painted a dark color, so no real detail was needed: I just wanted 'seat shapes' to be visible through the plentiful cabin windows. As to these windows...they started the project off with a truly delightful surprise. As I said, they're rather thick...but the fit to the fuselage is better, bar none, than any similar kit I've built in my 5+ decades in the hobby. The windows are molded individually, so there's no 'mounting strip' to obstruct the fit (as they typically seem to do); and best of all, they are cleanly beveled to match the fuselage openings. All I had to do was lay each piece in its little cut-out, and hit the corner with the slightest touch of Tamiya Extra-Thin; the cement wicked cleanly and perfectly around each rim, leaving no worry about water-based clear adhesives weakening and windows possibly popping loose in mid-project, or while trying to mask. That's it for the present. Thanks for looking in. With a few hours to go before the starting gun, time to start my thread. This is Revell's retread of the Matchbox Twin Otter kit, of 1983 vintage. Box art: That rather attractive scheme is not going to be the subject, what with those odd round things hanging off the bottom. The kit's second decal option is for a West Coast Air Twotter in blue and white, an example of which one can see on Airliners.net: http://preview.tinyurl.com/ycp7deeq From what I can see, West Coast kept their aircraft very clean. Sprue shots; Revell haven't gone for the lurid Matchbox colours, so it's all in glossy grey. Revell provide a most bizarre double-ended paintbrush. One end is splayed to oblivion, the other appears to have been dipped in varnish before being sent out. Waiting for tomorrow to kick off! This is the old Matchbox kit released under the Revell banner which comes with decals for the CAF and West Coast Air. I may yet build another kit in the CAF scheme but this time I opted to go with the Perris Skydiving colors when I found the decal sheet was available from Jbot Decals. Hi I would like to participate in my first group build with this Revell 1/72nd scale DHC-6 Twin Otter The final result should be this... ...and to do that I will use this Drawdecal sheet The real challenge will be to find the exact color matching..